Wearing sunblock every single day of the year is very important. You might think that now that the UK has gone back to being grey, you can put your sun creams away. But please don’t. The bad sun rays cause a lot of damage on your skin, so if you start protecting it early enough, you won’t need to try and reverse all the damage in your 50s hopefully. I mentioned wearing sunscreen every day in my Loving my Bare Face post, but there are a lot of burning sun protection questions I think are important to address. How about we start with what SPF stands for? The number you see on the bottle of sunscreen indicates what the SPF is. You probably know that SPF stands for Sun Protection Factor, but do you actually know what it is? No, factor 30 doesn’t protect you twice as much as factor 15. In fact, SPF 15 blocks about 93% of the bad UVB rays, SPF 30 blocks about 95% and SPF 50 – 98%. What the number actually shows, is the time you’ll be protected for. I’m very bad at math so I won’t do it for you, but basically, if it takes you 15 minutes to burn, you will not burn for 30 times more minutes if you use SPF 30. What is the difference between UVA & UVB rays? Remember it like this – UVB = burning, UVA = ageing. UVB are the rays that cause immediate damage to the skin. They are shorter rays that burn the surface of the skin and also contribute to the development of skin cancer. Wearing a sun cream with higher SPF will protect you from UVB rays for longer so you won’t go a nice Dr Alex from Love Island red colour after a day in the sun. How is this person still bright red after almost three months in the sun is a mystery to me. You won’t see the damage UVA rays have done straight away, but you will also find it difficult to reverse it. They penetrate deep into the skin and are the cause of premature ageing, pigmentation and also contribute to skin cancer development. Research has shown that UVA rays cause more than 90% of the visible signs of ageing – like wrinkles, rough patches and sagging skin. If you look at pictures of bus drivers, for example, you’ll see one side of their face looks a lot ‘older’ than the other, because it has been exposed to the sunlight a lot more. Make sure you pick a sun cream which clearly indicates it has UVA protection too because SPF only works for UVB rays. ‘Broad spectrum protection’ means the cream works against both types of rays, so look for one that mentions this, or has a UVA protection sign. Do I need sun protection every day? Yes. Whether you work inside, or outside, it’s important to remember that sunlight can still damage your skin, even if you are only exposed to it for a little while. You need sunscreen even when it’s not sunny, because at least 70% of sun rays go through the clouds and attack your skin. Gone are the days when all sunscreens are greasy and gross, now you can find many that won’t clog your pores, so you really have no excuse. Unless, of course, you want a whole load of wrinkles when you’re 35. To actually get the SPF number stated on the bottle, you’d have to use about a quarter of a teaspoon (which is a lot!) of sunscreen on your face. Make sure you apply a generous blop in the morning, covering your face, ears and neck. I think it’s important to mention here that foundation or BB cream with SPF isn’t enough to protect you – unless you apply a quarter of a teaspoon of it on your face, which I definitely do not recommend doing. For your body, it is recommended to use about a full shot glass worth of sunscreen all over for full protection. 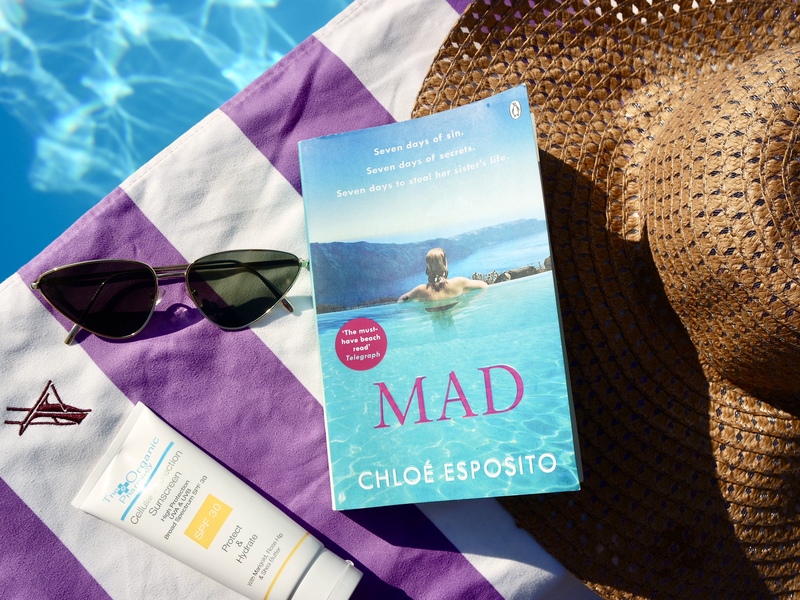 And don’t forget to apply all this before you hit the beach/pool/garden party – if you apply it straight under the sun, it’s likely to evaporate real quick and not do anything for you at all. How to decide which one to use? There are SO many sunscreens out there, and it can be hard to pick one. Starting from the SPF number, I go for 50 for my face and 30 for my body. Currently, I have three different products which I use almost every day. The Organic Pharmacy Cellular Protection one is a pricier option, but I really like it. It is gentle enough to use on babies, so it doesn’t irritate the skin at all. It also feels nice and moisturising, instead of heavy and greasy. It is a mineral sun cream, which means its active ingredients don’t penetrate the skin, but instead stay on top of it and reflect the sunlight. The one I use every day is the La Roche-Posay ANTHELIOS XL. Soon after I featured it in my recent Wish List post , I went and got it. I’ve had it for a few months now, and after using it at least once a day, I still have a good amount left in the bottle. This one has SPF 50, it’s in a tiny bottle, so fits in every bag and is non-greasy, which is important if you don’t want to worry about clogged pores. It’s suitable for sensitive skin and sun intolerant, which makes it a must-have if you have a sun allergy. 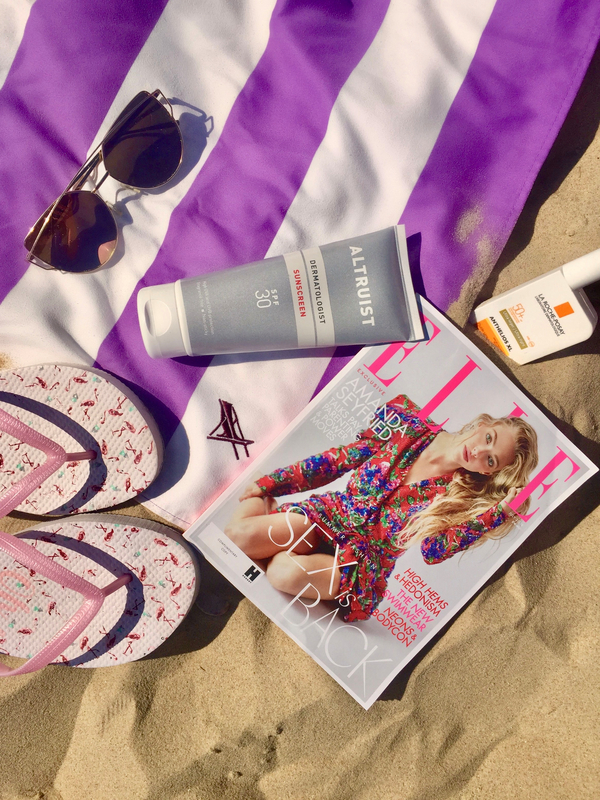 For my body, I use the Altruist Dermatologist Sunscreen, and I love how non-sticky and non-greasy it is. It was developed by dermatologists, offers UVB and UVA protection and is also super budget-friendly. Which is just what you want, especially for a beach day, isn’t it?! If I’m on the go and I can’t wash my hands, I spray the Garnier Hydrating Face Sun Cream Mist all over my face (and look a bit crazy, but I will laugh when I look young in 30 years!). Again, it’s suitable for sensitive skin, it blocks UVA and UVB rays AND can be applied over makeup, which is a huge plus. There you have it, all the useful sunscreen info you need. Come rain or shine, protect ya skin, cats! Thanks for the clarification about the SPFs. These are good to know facts. Moving forward will try to use the ones which are SPF 50 and above. Informative post but no matter which brand it is spf creams don’t suit my skin. But it is helpful for others. what do you mean doesn’t suit your skin? does it irritate it? This is a very informative and useful article – well done! By the way, lovely pictures. Informative post! I wish I was better at sun protection from when I was a teenager to my early 20s. However, I’m adamant about it now! This is very helpful article. I am guilty of sometimes grabbing a bottle just because the packaging looks pretty. I will be more discerning next time. Sun rays are harmful for skin which needs to be taken care of .Glad you share such an important issue in the article. Such informative post! Love your photos as well. I always tell my friends to wear sunscreen with SPF 50 as part of their morning skincare routine.